John is early in his first year as a practicing audiologist and is currently working in a private-practice setting. During the previous 3 months, he has attended educational trainings provided by various hearing aid manufacturers. During some of these trainings, the presenter was persuasive in recommending frequency-lowering technology (i.e., technology that lowers information from the high- frequency region to a lower-frequency region) for amplifying high-frequency sensorineural hearing loss. In other sessions, however, extended-bandwidth amplification (i.e., amplification with a wide spectral bandwidth out to approximately 8–10 kHz) was recommended as the standard of care for providing audibility of high-frequency information. John is conducting a hearing aid evaluation on Mr. Smith, a 50-year-old patient who has a bilateral, mild sloping to moderately severe sensorineural hearing loss (SNHL). Mr. Smith’s otologic history is unremarkable and he has never used amplification. Mr. Smith reported recently experiencing a mild cerebrovascular accident (CVA) and is scheduled to begin speech-language therapy next week to address mild speech-production difficulties. Thus, one of John’s goals is to maximize Mr. Smith’s speech-recognition abilities to ease communication and facilitate maximum audibility of the speech signal during the therapy sessions. John does not yet know which amplification strategy to use to maximize speech recognition for Mr. Smith and has decided to conduct a review of the literature to help guide his decision. Currently, there is a lack of agreement regarding the best way to provide audibility of high-frequency speech information through amplification devices, particularly for individuals like Mr. Smith who have moderate to moderately severe high-frequency thresholds. Some propose extending the spectral bandwidth of amplification (i.e., including additional high-frequency information) to improve speech-recognition performance. Others, conversely, recommend moving speech information from the high-frequency region to lower-frequency regions through various signal-processing techniques (for specific details see Alexander, 2013). Interest in these signal- processing techniques resulted from the potential limitations of traditional amplification for high-frequency hearing loss (Alexander, 2013). For example, prior to widespread use of digital feedback-suppression algorithms in amplification devices, providing gain in the high-frequency region was a significant clinical challenge. speech signal is beneficial for listeners of all ages (Füllgrabe, Baer, Stone, & Moore, 2010; Monson, Hunter, Lotto, & Story, 2014; Pittman, 2008; Stelmachowicz, Lewis, Choi, & Hoover, 2007). For example, Pittman (2008) found improvements in novel word learning among children with normal hearing and children with hearing impairment when making more high-frequency information audible (i.e., extending the speech-signal bandwidth). For adults, Moore, Füllgrabe, and Stone (2010) found that including additional high-frequency speech energy (above 5 kHz) increased listener judgments of sound quality, with signals containing energy up to 10 kHz described as having improved “clarity” and “pleasantness.” The authors also found a small, but significant, improvement in speech recognition when extending the spectral bandwidth (i.e., including additional high-frequency energy) to 7.5 kHz when the speech signal and noise were presented from different locations. Clinical audiologists should strive to provide appropriate amplification that maximizes speech understanding and sound quality in all listening environments. Similarly, speech-language pathologists should understand the effectiveness and outcomes associated with amplification systems for patients with hearing loss. 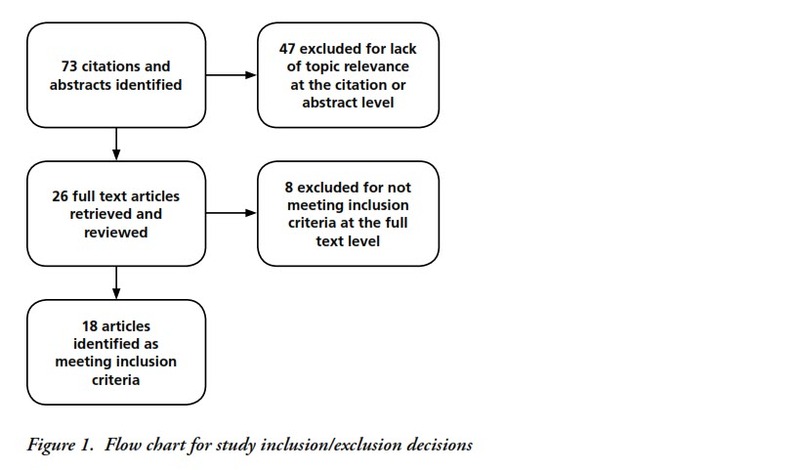 John undertook the current review to explore the literature on the two approaches to improving speech recognition for patients with hearing loss. John used the PICO (population, intervention, comparison, outcome) format, as recommended by the American Speech-Language-Hearing Association (AHSA), to formulate his clinical question: For adults with mild sloping to moderately severe SNHL (P), is frequency-lowering processing (I) or extended-bandwidth processing (C) preferable in improving speech recognition performance (O) in quiet and noisy listening environments? 2) data analysis focuses solely on primary outcomes and ignores moderating variables that would allow for a deeper understanding of the outcomes (Larsen & Nye, 2010). Given the time constraints, John deemed this technique appropriate for the clinical decision at hand. of phonemes as in the Plurals Test). John limited the dependent variable to examine the effects of various audible bandwidths and signal-processing techniques on the linguistic processing of the speech signal rather than simply phonemic detectability. For the purposes of this review, the term extended-bandwidth processing refers to instances where additional high-frequency energy (i.e., above approximately 4 to 5 kHz) is included in the speech signal through traditional processing (often carried out via low- pass filtering). Frequency lowering refers to conditions where the high-frequency portion of the speech signal is lowered, in some way, to a lower-frequency region. John understands that the speech signals used in the cited studies frequently underwent several forms of processing (e.g., low-pass filtering, frequency compression, frequency transposition, frequency translation) to accomplish the objective of the study. Keeping this in mind, the primary goal of his review was to examine, from a broad perspective, the effectiveness of these two signal-processing techniques for providing audibility of high-frequency speech energy. only including studies where participants had precisely the same degree of hearing loss would not provide sufficient information from which to make an informed clinical decision. the previous 10 years (i.e., 2006 through 2016), while the latter contains information from studies older than 10 years. John’s discovered that many studies required listeners to identify speech in both quiet and noisy listening conditions. Therefore, to gain a thorough understanding of the data, his analysis focused on each listening condition individually. A majority of the studies required listeners to identify the speech signal (e.g., phonemes, words, sentences) in listening conditions with competing background noise. Considering the cumulative results from all studies, extending the audible bandwidth to include more high-frequency information appears to enhance speech recognition for hearing-impaired listeners with hearing loss similar to John’s patient, particularly in noisy listening conditions (e.g., Cox, Johnson, & Alexander, 2012; Pepler, Lewis, & Munro, 2106). as compared to inactive. With NFC active, sentence- recognition performance did not improve or decrease. The authors suggested that clinicians should take caution when activating frequency lowering for this population (i.e., listeners with gradually sloping hearing loss), as it may degrade speech recognition in noise for some listeners. John also examined studies that provided high-frequency information through processing strategies that included additional high-frequency signal amplification. 18 without dead regions). Listeners without cochlear dead regions showed significant improvements in consonant identification when including additional high-frequency speech energy. The authors reported that there is no evidence to support limiting high-frequency amplification for adults with at least a moderate hearing loss, particularly in noisy environments. Additionally, Levy, Freed, Nilsson, Moore, and Puria (2015) obtained sentence reception thresholds among normal-hearing and hearing-impaired listeners with a mild to moderately severe sensorineural hearing loss. Sentence reception thresholds significantly improved when extending the signal bandwidth from 4 kHz to 10 kHz when the speech and noise were separated in location. The authors suggested that increasing audibility of high-frequency spectral energy may improve speech-recognition performance in the presence of spatially separated noise. to determine the utility of amplifying the high-frequency region. Souza, Arehart, Kates, Croghan, and Gehani (2013) examined how frequency lowering using a form of frequency compression influenced speech intelligibility for adults with mild to moderate hearing loss. In quiet, no benefit in speech recognition was observed with the frequency-lowered speech when compared to unaltered speech. The authors suggested that listeners with the poorest high-frequency thresholds benefited the most from the frequency-lowering technique used in their study, but individuals with hearing loss similar to John’s patient showed no benefit. All studies considered, John determined that there was limited evidence to support increasing access to high-frequency speech energy in quiet conditions for listeners with hearing loss similar to his patient. and in noise using each signal-processing technique. Many of the studies used simulated hearing aid processing or speech processed through computer programs and did not subject the speech signal to processing through clinically fit hearing aids. Although additional variables may complicate study design, studies using clinically available hearing aids that offer extended-bandwidth and frequency-lowering technologies can help inform clinical decision making regarding amplification of the high-frequency portion of the speech spectrum. For Mr. Smith, it appears that John should begin with amplifying high-frequency speech energy through extended-bandwidth processing, keeping in mind the goal of improving speech-recognition performance in noisy listening environments. It is long established that many hearing aid users report poorer performance and dissatisfaction with their devices in degraded environments. In a recent MarkeTrak study, Abrams and Kihm (2015) reported that between 30 and 50% of respondents described substantial difficulty when attempting to recognize speech in noise. Given the data obtained in this Brief, the strongest evidence supports amplifying high-frequency speech energy through signal processing that includes as much unaltered high-frequency information as possible compared to techniques that artificially lower high-frequency spectral information. That said, audiologists should always verify hearing aid function through real-ear and aided speech- recognition measures and validate patient satisfaction in all listening environments. If John concludes that the current technique is unsuccessful at improving Mr. Smith’s speech-recognition abilities, he should explore and offer additional signal-processing techniques to his patient. Souza et al. (2013) suggested that the use of high-frequency amplification techniques should be viewed in terms of the “audibility-by-distortion trade off ” (p. 1354), which may vary substantially among listeners. As such, audiologists should consider each case individually and adjust the prescribed amplification technique accordingly. When interpreting these results, John must acknowledge the lack of randomized controlled studies that directly examine speech-recognition performance between signal-processing techniques for amplifying the high- frequency portion of the speech spectrum. Clinicians would benefit from additional studies using currently available hearing aids that offer both signal-processing techniques (i.e., extended-bandwidth processing and frequency lowering). Such studies would inform clinical decision making for hearing healthcare providers when fitting amplification devices for listeners who require amplification of the high-frequency auditory region. Dr. Donai is an Assistant Professor in Audiology at West Virginia University. He is co-director of the Speech and Hearing Laboratory. Dr. Donai has published numerous articles in areas related to speech perception. Jeremy C. Schwartz is currently a Doctor of Audiology (AuD) student at West Virginia University.